4 to 24 months old teeth start to erupt temporary “baby”. Parents should brush the teeth of the baby. 2 to 4 years age ends eruption of teeth. They start learning to brush imitating the parents who must supervise their children. 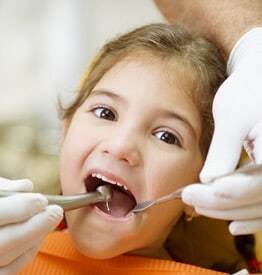 5 to 7 years of age are the first permanent teeth begin to fall off the deciduous teeth. The hands are bigger and better skill, but still needed parental supervision. From 8 years in front end of the permanent teeth erupt. It increases the degree of skill and coordinated movements are therefore already able to brush alone.